Drinking enough liquids is a vital part of staying healthy. It’s such a simple thing but many of us forget to drink enough. I’m also talking about more than just drinking water! Water is great and definitely something we should be drinking but there are also other types of beverages that have great benefits. Did you know that? People always say drink _ cups of water a day… but it doesn’t have to be water! This is very helpful for those who get bored of plain old water. It’s also great news because other liquids can give us added benefits on top of hydration! We tend to ignore the fact that drinking liquids isn’t just about hydration although that is reason enough to drink up. Drinking liquids has so many more benefits which we are now going to explore. Drinking liquids can help keep your digestion moving properly. Liquids help flush toxins out of our bodies. Water alone is great but there are other beverages that really focus in this area like certain teas. For the most part, drinking liquids helps control weight because it helps fill you up and thus makes you less likely to just munch away. However, there are other reasons drinking beverages can help with weight loss; some liquids boost metabolism. Stiff joints can be painful. Drinking can help cushion those joints so moving is more comfortable. Water is a great starting place but drinking a beverage with gelatin in it or bone broth will be more beneficial because joints love gelatin and collagen. Drink too little and your skin will suffer. If you are wanting younger looking skin and less acne or blemishes then drink up! 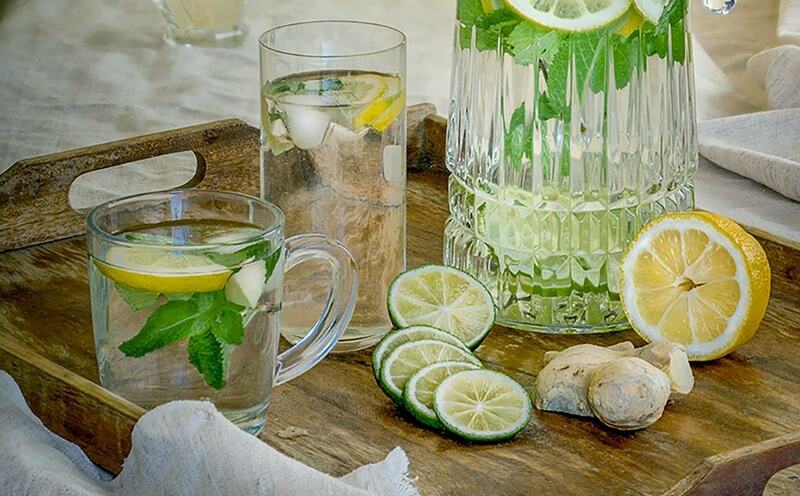 Keeping your body well hydrated can help ward off sickness. Depending on what you are drinking you can even get greater immunity from beverages. Drinks such as apple cider vinegar or even lemon water are great choices. Now I’m not saying that drinking more liquids will make you the next Einstein but staying hydrated does help you stay more aware and your brain functions better. Drinking enough liquids helps you absorb nutrients better and in some cases those liquids are the carriers for the nutrients; teas, bone broth, lemon water are all full of nutrients. 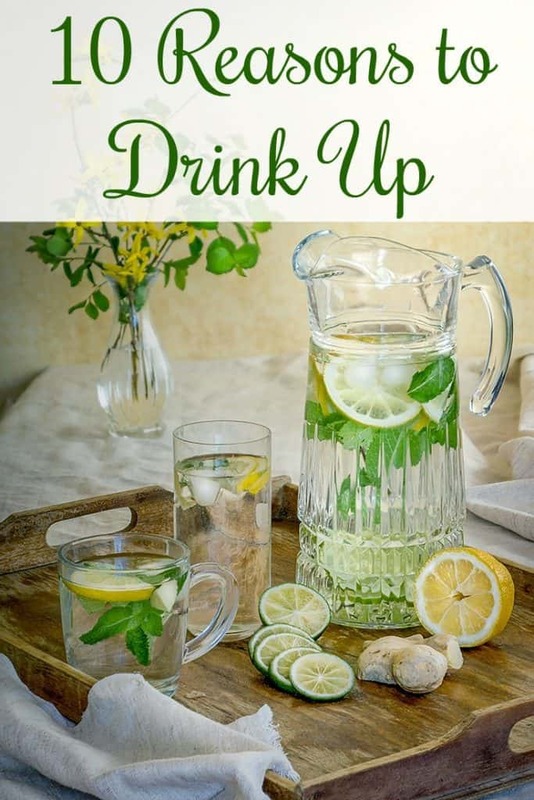 Drinking water will help with pretty much anything but when it comes to colds and allergies I really like to kick things up a notch by adding a bit of apple cider vinegar to the mix. It’s great for allergies and works well for colds also. Okay, so you can’t cure absolutely everything by drinking liquids but there are a lot of things that can be fixed or at very least helped by drinking certain beverages. Nettle tea is great for allergies, dandelion leaf tea is great for edema and anemia, red raspberry leaf tea is wonderful for pms and regulating menstrual cycles.